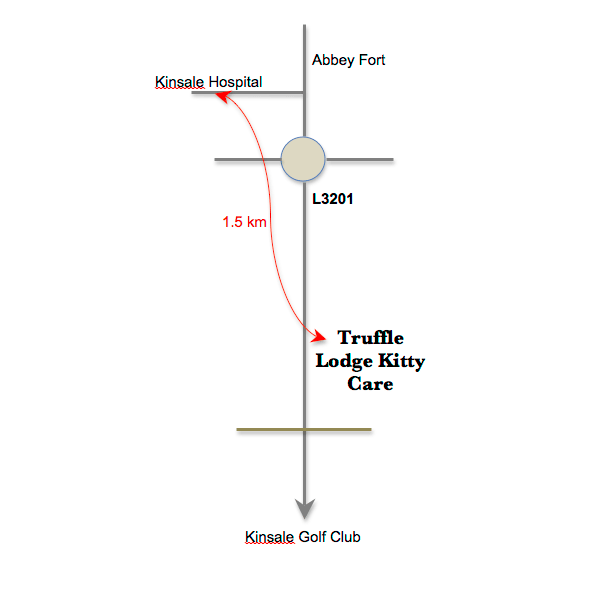 Truffle Lodge Kitty Care is located about a mile from Kinsale, Co. Cork. 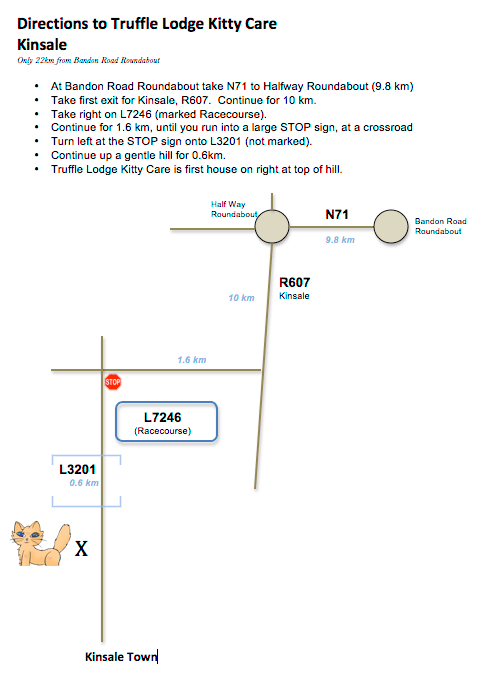 Our cattery is on the back road from the town of Kinsale to Farrangalway Golf Club. The entrance for cattery customers is opposite from the horse-box entrance for the Kinsale Point-to-Point race track. Our location is very remote and quiet...the perfect spot for cats to enjoy a peaceful and comfortable few days. We will take very good care of your loved kitty during your travels, giving you peace-of-mind while you're away.